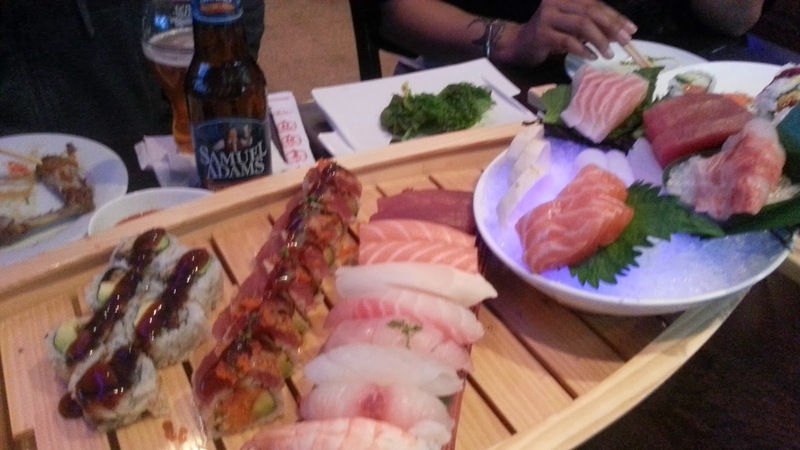 The sushi joint opened in the suburbs about a year ago and this post is long overdue. 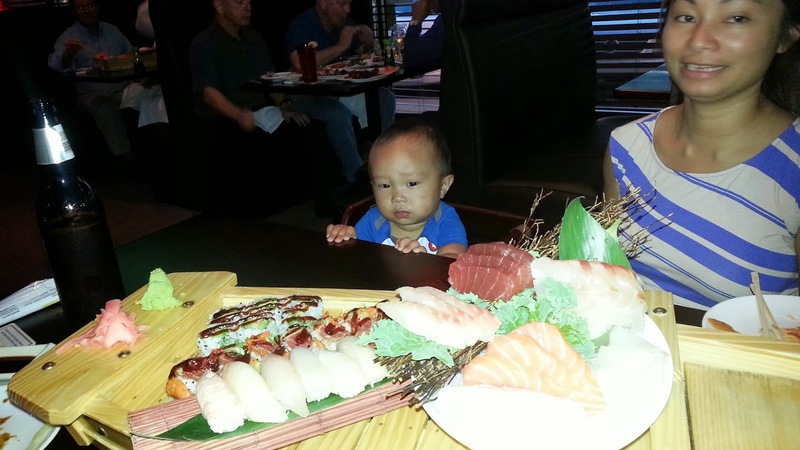 The Mo and I like to visit Sushi Yanagi with friends when we are craving fresh sushi at affordable prices. Typically, we get a few appetizers to go with our drinks. 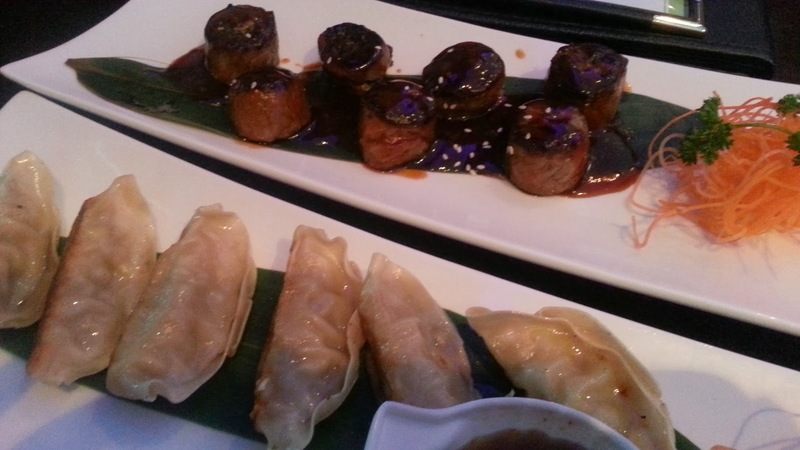 Matthew and myself are huge fans of gyoza, pan fried pork dumplings, so we get one to split. The beef negimaki was a gamble as I've never had it before nor did I know what it was. To my surprise, the broiled beef roll with teriyaki sauce and scallion was tasty! 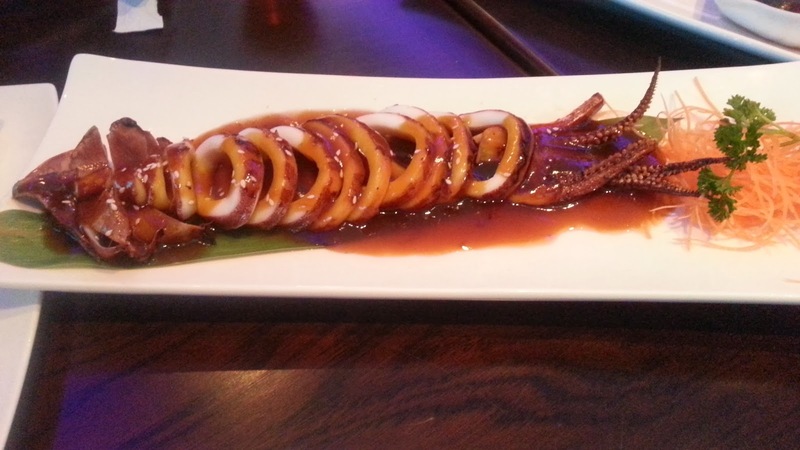 I love their barbecue squid with yakitori sauce. It's grilled to perfection and didn't taste rubbery at all. 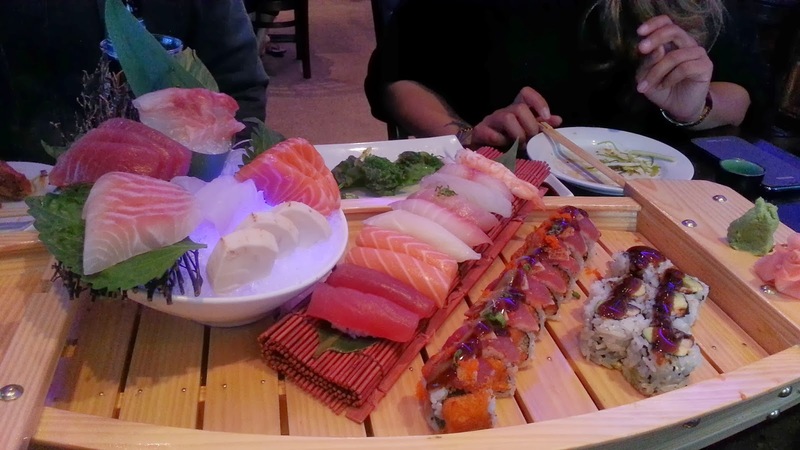 We ordered a combination of sashimi, handrolls and maki rolls along with delicious tempura udon noodle soup (not pictured). For the maki rolls, we got my absolute favorite; the Spider Roll (Tempura and fried soft shell crab), Philadelphia roll (salmon and cream cheese), Caterpillar to name a few. Even Baby Noah loved the place! He's a mini celebrity there and all the servers know him. Overall, it's a great place for date night or even just a night out with friends. Service was great and the food was fresh and delicious. 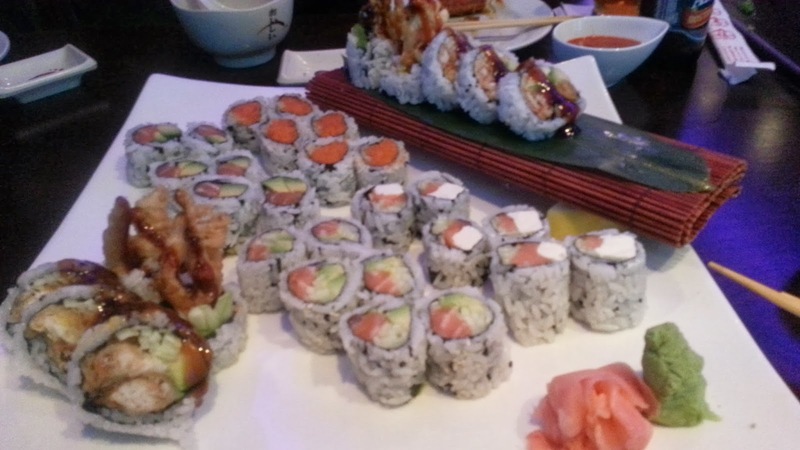 Sushi Yangai is located in a small strip mall/plaza on 83 Parkhurst Road in Chelmsford, Ma. Although I've never been there for lunch, I hear they have a good lunch special with a few $4.00 maki roll or combo specials.